One of the colourful boats on the Shropshire Union Canal (or the "Shroppie" as it is known locally). 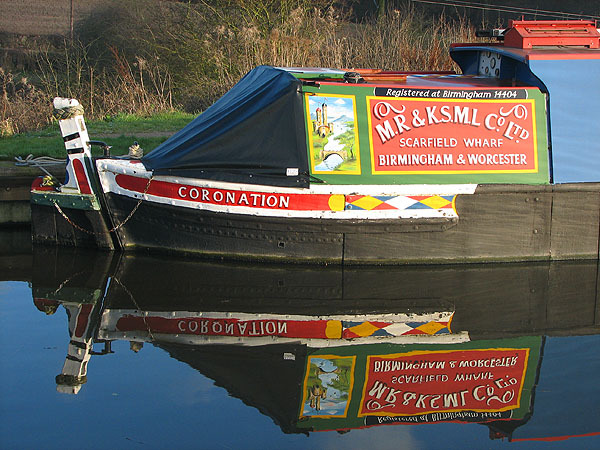 This canal runs from Wolverhampton in the English Midlands up to Chester, near the North Wales border, and is linked into the national canal system. Many of the boats are privately owned, and some belong to hire companies who hire them out for holidays. You can complete the "Four Counties Ring" which takes you through Staffordshire, Shropshire, Cheshire and the West Midlands, in about a week, arriving back where you started after completing the circular route. Another reflection shot taken at the same place, Norbury Junction, a former junction of canals, on the Staffordshire/Shropshire border about 3 miles from my home. Nice shot Shaun of the long boats. I have relatives who spent most of their early married life during the second world war living on a longboat and raised their two boys on it. This was their home and they used to haul coal into Birmingham during the war. They have some great tales to tell especially about the time they were hit by a bomb during a raid on Birmingham. those narrowboats are also popular along the canals in Europe. 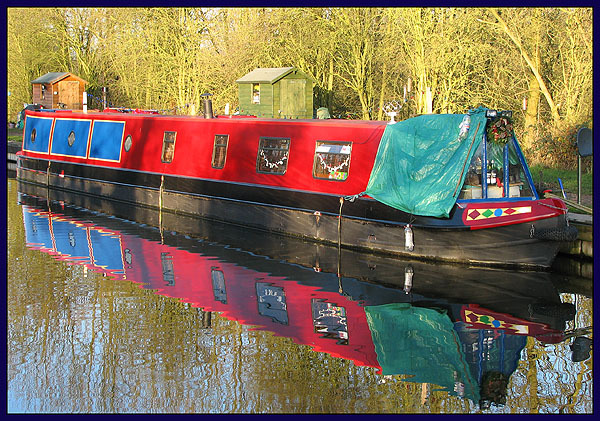 there are people who live aboard them, and spend their lives moving leisurely about the canal networks, from city to city across Europe.it would be a wonderfully relaxing way to see the countryside - withmore than ample opportunities for photographs as well! Nice photos, Shaun. The reflections in both photos are excellent. I especially like #1.